"your an idiot. you cant talk out of your nose, or show emotions with your nose. YOU FAIL" You're an idiot. The whole point of this website is to take pictures of things that are completely obvious, and say, "Hey, look! If you look at it this way, it can be viewed as something else!" The point here is not to prove or disprove. 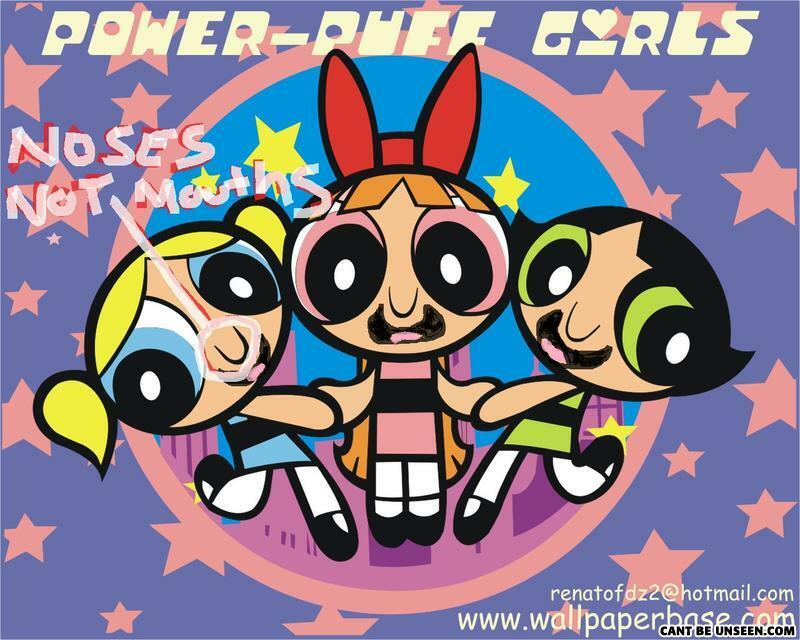 Obviously, that is the Powerpuff Girls' mouth. But Hey, if you look at it in this light, it looks like a nose. That's it. So you're the idiot, you fail, gtfo the internet please.